Join Rogers Public Library for Monday Makers for ages 3 through 12 years. This program includes stories, information about a specific topic [such as reindeer, penguins, etc. ], and a craft. Children under the age of 7 years must be accompanied by an adult at all times. Playtime with baby creates brighter futures and stronger bonds. Infants 6 to 17 months old and their favorite adult will play together in activities that encourage physical growth, social-emotional development, and emerging language skills. NWA Fashion Week’s mission is to highlight fashion trends, burgeoning local brands and up and coming designers, to celebrate Northwest Arkansas’ growing culture, and raise awareness and support for local organizations that are doing incredible things in the world. This story time was developed to recognize the developmental needs and attention spans of the children this age. Parents/Caregivers interact with their babies through a variety of nursery rhymes, action rhymes, songs, and stories. Because Baby Bookworms have short attention spans, participants are encouraged to be on time as the program is brief, lasting between 20 and 25 minutes. Looking for the perfect playdate that’s designed especially for your little one, age 0 – 3? Join Pampers and Walmart on Saturday, April 6, from 10 am to 5 pm, as they bring Pampers Playdate, a one-of-a-kind, limited-time exhibit to the Scott Family Amazeum! Pampers Playdate is included with Amazeum admission (free for Amazeum members and kids under 2). Excitement is building for the 43rd Annual Hogeye Marathon and Relays set for Saturday, April 06, 2019, at 7 a.m. Each year, Hogeye Marathon & Relays, Inc. and its team of dedicated volunteers set the stage for this incredible event, which benefits local nonprofits that support the Northwest Arkansas community. 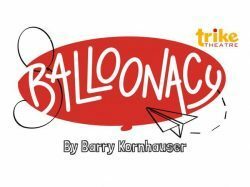 Sweet, inventive and packed with physical comedy, this play explores the power of friendship and shows how, with a little imagination and acceptance, companionship is everywhere. Find your inner peace at our weekly Saturday yoga series. Perfect the art of oneness as you work through a variety of poses. Sessions are just $10 at the door and are led by certified yoga teachers from Yoga Story NWA. Attendees should bring their own mat or towel and water and arrive early to ensure a spot because space is limited. Little Flock Spring Festival! Hosted by Little Flock Police Department, Little Flock Fire Department, and Little Flock Church! Join in for a touch-a-truck adventure, bounce houses, outdoor games, face painting, refreshments, music, and so much more! Everything is kid and family friendly! Asking for canned food donations to help the local community needs and little pantry of Little Flock! No admission cost just bring a canned/dry food if you can! Everyone is welcome! Please join in on Sunday, April 7 for an introduction to basket weaving with Jeannie L. Hornsby. In this beginner workshop, participants will create a woven candleholder. Class will be from 1:30-4:00pm in the Walker Community Room. Registration is required and participants need to bring one bath-sized towel for their project. Click HERE for info on the Moms’ Night Out to see Waitress! Downtown Rogers’ businesses host guest artists and musicians from across NW Arkansas and showcase their work. This is the perfect way for art enthusiasts, foodies and fun seekers to enjoy the Bricks of Downtown Rogers! Shop, view and purchase art and frequent the many eating and drinking establishments. Grand Opening of Operation Kidsafe Year-Round Child Safety Center. The Center will provide local children with an Amber Alert ready Bio Card. The program is FREE and Private. Forms are ready to hand to Law Enforcement in a family emergency, parent gets the only record of the visit. Operation Kidsafe Founder Mark J. Bott worked with John Walsh in the 1990’s. Mark was also involved with starting the Amber Alert. In 18 years, Mark’s Operation Kidsafe has safeguarded over ONE MILLION children. Join Rogers Public Library for Friday Folk Tales and Fables. Children ages 5 through 12 years are welcome to listen to stories, learn some life lessons, and make a craft! Children under the age of 7 years must be accompanied by an adult at all times. 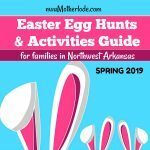 Mark your calendars for the 2019 Spring Northwest Arkansas area Vintage Market Days, April 12-14th – one of Country Living Magazines “7 Flea Markets & Barn Sales You Won’t Want To Miss”! Grab your girlfriends or your husband & join us for a weekend of the very best of Vintage vendors from across the United States. There will be vendors who are unique to Vintage Market Days. VMD is an upscale vintage-inspired indoor/outdoor market featuring original art, antiques, clothing, jewelry, handmade treasures, home decor, outdoor furnishings, consumable yummies, seasonal paintings and a little more. 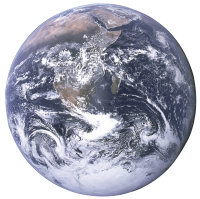 Join Bentonville Public Library for our annual Earth Day Celebration! 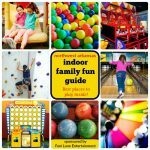 Kids of all ages can drop-in the Walmart Room between 2:00 p.m. and 3:00 p.m. for education stations that are hands-on fun. Join The Spark Foundation for the 9th Annual Cow Paddy Run on Saturday, April 13 at Gulley Park in Fayetteville, Arkansas. You and your family members can run the 1K Fun Run or the 5K. The race is produced by The Spark Foundation, a local 501(c)(3) non-profit with a mission to create a positive impact in our community by providing increased access to health and fitness opportunities. By participating in the Heart Walk, you are joining a million Heart Walk Heroes from across the nation raising funds for lifesaving science. You’ve watched cooking competitions on tv and now, you can watch it live with our Chef Battle Tournament Series! With our inaugural event in Arkansas, local chefs have 1-hour to compete to be named Arkansas’ Best Chef! The winning chefs will advance to the Southern Regional Chef Battle in 2019. General Admission tickets include live entertainment, samples from chefs, voting ballot for crowd’s favorite, and guests 21+ receive 2 Sassafras Springs Vineyard tasting tickets (redeemable day of the event only). 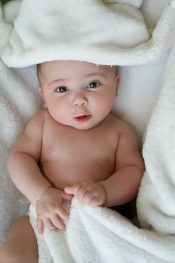 This class will provide you with basic baby care knowledge and basic infant safety. 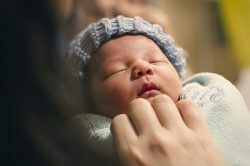 Content includes finding a provider for baby, what baby may look like at birth (normal head molding, baby acne, stork bites, etc. ), baby behavior (sleeping and crying patterns), what to expect during a typical hospital stay at Willow Creek Women’s Hospital, safety in the hospital, first medications given after birth, hearing screen, use of bulb syringe, cord care, bathing, diapering, jaundice, tummy time. 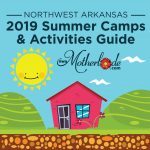 You will also be given accident prevention and safety tips including basic home safety, safe sleep, car seat safety, immunizations, Shaken Baby Syndrome, etc. At Shared Beginnings, we help protect, serve and support birth moms who have bravely made an adoption plan believing it’s what’s best for their child’s future. We walk alongside them to become stable and be thriving within a year. This tangibly looks like finding sustainable housing, getting a family food stable, access and transportation to healthcare, job searching, drivers ed and licenses and help connecting with other social and community services. Held the last full weekend in April, the Dogwood Festival draws an estimated 30,000 people to Downtown Siloam Springs. More than 200 booths provide a wide variety of finds including arts and crafts, handmade items, gifts and vintage. Also provided is a line-up of live music and entertainment to enjoy. Susan G. Komen has set a Bold Goal to reduce the current number of breast cancer deaths in the U.S. by 50 percent by 2026. To get there it will take everyone pulling together. In 1867, the first five acres for the national cemetery were purchased from local residents David Walker and Stephen K. Stone. The original layout of the cemetery, according to a sketch, is of an outer circle surrounding a six-pointed star with diamonds between the points of the star and a flagpole in the center. Come join FPL “on the road” at the National Cemetery. Here Mr. Terry will take us on a tour telling us some of the history and mission of the National Cemetery. The tour will start at the main entrance of the cemetery so please wear comfortable shoes and bring a bottle of water. Classic children’s tales come to life in the garden! 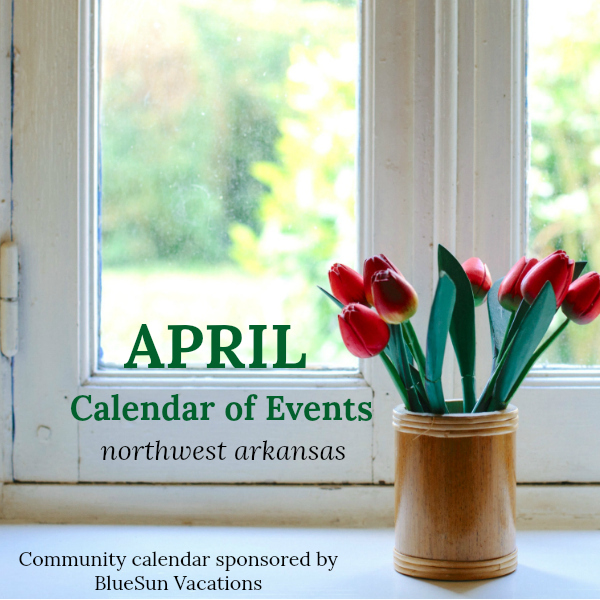 Bring the kids and come enjoy this fun family festival at the Botanical Garden of the Ozarks! The eARTh Theatre Festival will feature five family-friendly plays, performed by Arts Live Theatre actors and actresses throughout the garden. Arts Live Theatre is a local nonprofit youth theatre company. This year’s performances are The Wizard of Oz, Alice in Wonderland, Peggy the Pirate and Tom Sawyer. Each mini-show (approximately 15-20 minutes) will run six times, with a break in between. Guests will be able to visit each spot to see all four plays and participate in some fun activities. There will also be a special sneak peek performance of Junie B. Jones, an upcoming Arts Live Theatre show, on the Great Lawn at the end! Adapted for the stage by Bethany Lynn Corey. 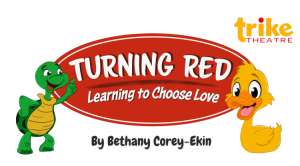 An original play based on the national Choose Love Movement that focuses on Courage, Gratitude, Forgiveness, and Compassion.